DALKOM means sweet in Korean, so we try to do our best to make you feel comfortable like you stay at your home. And :D our logo means \'smile\' as you might know. We provide super clean rooms and warm atmosphere like your homes for travelers. Specially, the manager of :DALKOM Guest House has a tourist guide license and traveled about 30 countries around the world. So we can offer the accurate informations to travelers. We also offer various programs like \'Making Korean food\' and \'Making Korean paper art crafts\' Besides, we provide various discount coupon such as limousine bus, lotte world, shopping. Every room has private toilet&shower and the room rate including simple breakfast Please come and enjoy our special services during your travel in Seoul. we offer free internet (including Wi-Fi) and various discount coupon such as limousine bus, lotte world, shopping. To Celebration our Grand Open(1st Dec 2011), we offer several events!!! 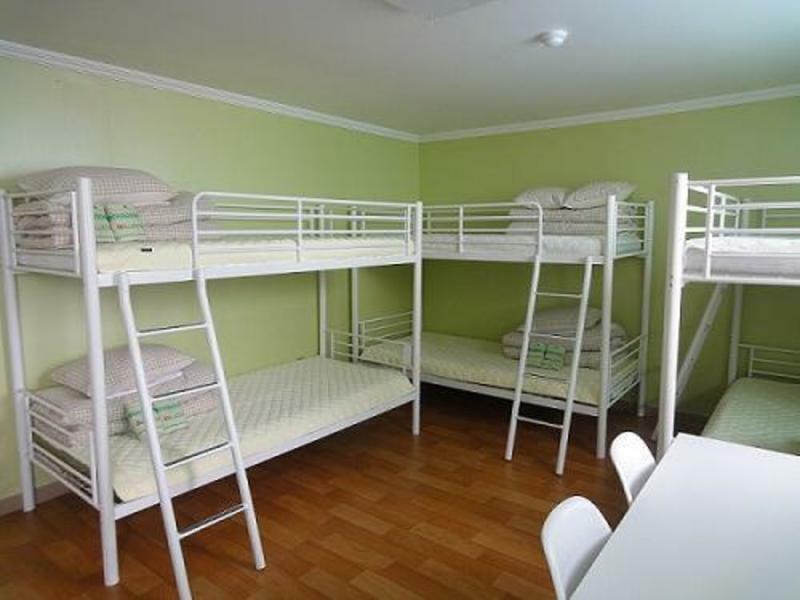 DALKOM Guest House is located in Chungmuro which is the middle of Seoul. So, you can easily look around many attractions such as Myeoung-Dong street, Dondaemun market, the Namsangol Traditional Village and etc. without any transportation. Moreover, we are located only few minutes away from the airport bus stop and 3 metro stations which are Chumuro station(line no.3,4), Eulji-ro 3 ga(line no.2,3) and Eulji-ro 4 ga(line no.2,5) station that make your travel more convenient. get off at Chungmuro station and walk about 3minutes. get off Chungmuro station exit no.8 and walk about 3minutes. a. take a limousine bus No. 6001, get off at Chungmuro station and walk about 3minutes. - Walk down the footpath past a flower shop. After the flower shop turn right, then take the first left down a laneway. - Keep walking down the laneway, if you pass lots of printing businesses then you are going in the right direction.